Create the garden you’ve already dreamed of! 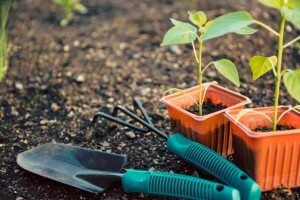 Gardening is one of the most wonderful ways to enjoy the warm weather, but for those of you who aren’t sure how to get started, this may seem like an impossible task. Thankfully, gardening is easy to get started with and soon you’ll be digging down in the dirt with the best green thumbs out there. Let’s take a look at some beginner tips for cultivating a beautiful garden. Here we go! Prepare the area for your garden. The first step in creating a garden is choosing a good location for it. You should choose a spot that will be aesthetically pleasing and one that will receive ample sunlight throughout the season. You should also consider how you will be watering your plants. That is to say, if you are going to use a hose, you should make sure that your hose will reach the area. Once you have picked the perfect spot for your new, beautiful garden, you will need to provide a suitable environment for flowers and other plants to grow. This means outlining the area, taking up the grass, and making sure the soil is ready for planting. In the event that your soil is low-quality, this is a good time to add compost to it to help enrichen it. Once you’ve laid the foundation for your beautiful garden, it’s time to place your flowers into the right places. It is advised that you wait to plant them until after you have found the right placement for each plant so that you can plant your flowers effectively the first time. Once you’ve planted them in the right spots, you can spread some mulch to help them reach their potential. Finally, give them a little water and your garden is ready to be enjoyed! This entry was posted on Thursday, May 11th, 2017 at 3:40 pm. Both comments and pings are currently closed.